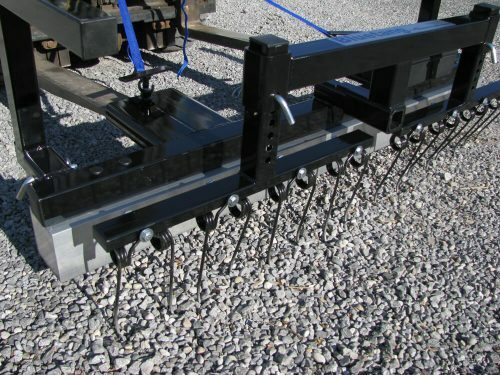 The Bluetang is a fork mount magnetic sweeper for large outdoor yards of gravel and or dirt. 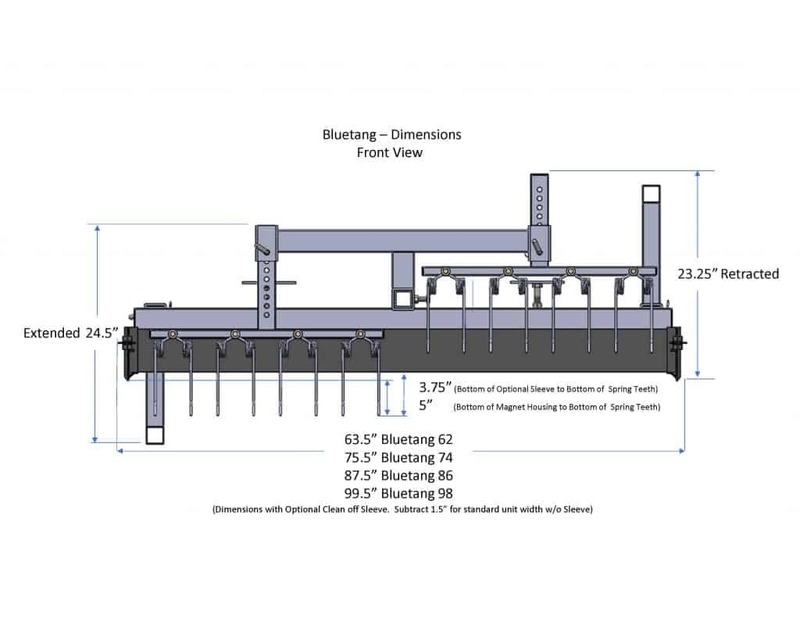 Easily attach the Bluetang to the front forks of any forklift and remove ferrous metal debris quickly and easily. 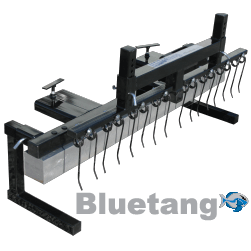 The Bluetang has a Debris Digging Rake that loosens debris partially buried so that the magnet can pick it up. 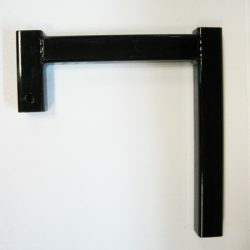 Ideal for keeping large areas free of dangerous metal debris. Quick and easy method for reducing flat tires and accidents. 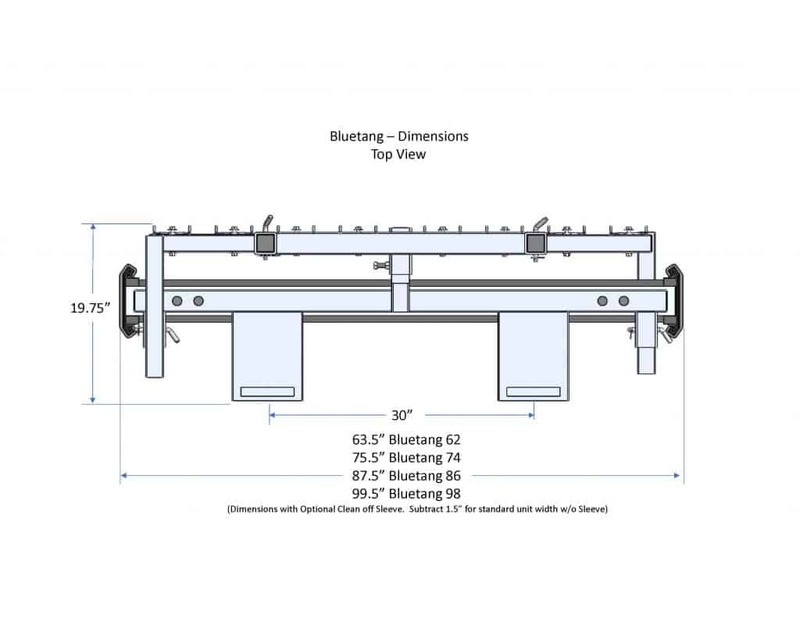 Use the Bluetang magnetic sweeper when debris could cause flat tires and a front mount sweeper is needed and you want to use a debris digging rake to disturb the ground to dig up debris. 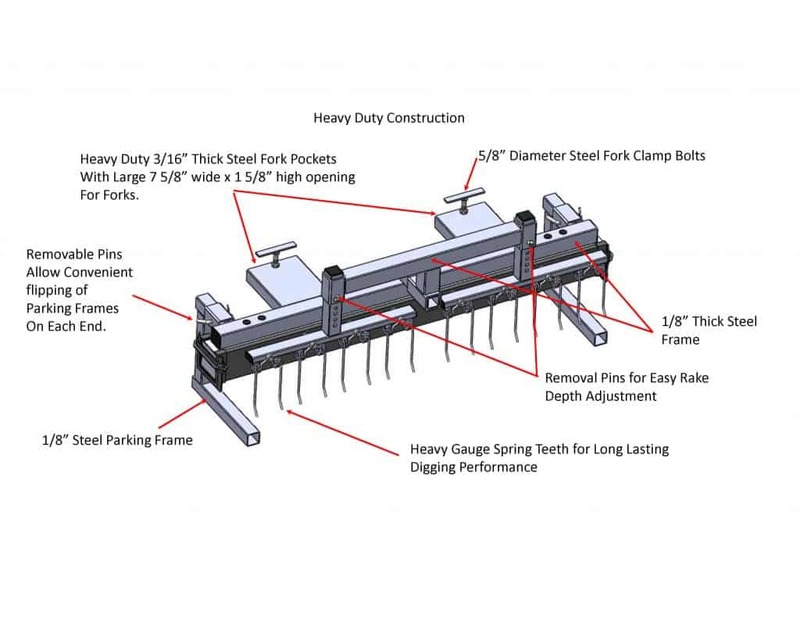 If you don’t need a debris digging rake, opt instead for the Wrasse Series hanging sweeper mounted on the Fork Pocket accessory. Quicker and faster than other methods of picking up metal debris because it mounts to your existing forklift. 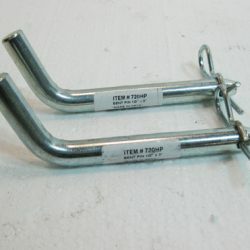 Easily tightens onto forklift forks without tools. Tighten Bluetang into place by turning the Lock Handle. 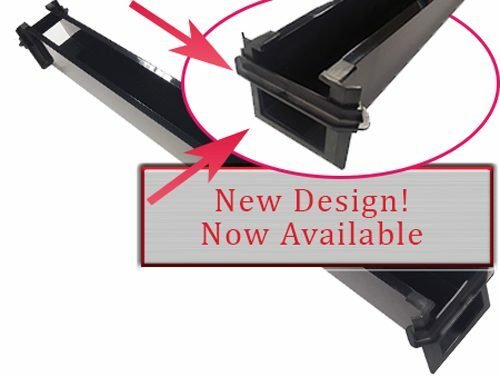 Inside dimensions of the fork pockets are 7 and 5/8″ wide and 1 and 5/8″ high and can handle a wide variety of fork sizes. Debris Digging Rake tines adjust up and down allowing as much digging as you want. 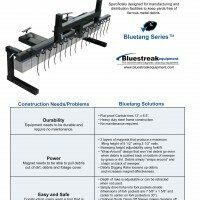 The Bluetang comes with a convenient portable stand making it quick and easy to hook up to the forklift. When not in use the Bluetang stands on its’ own using the stand. 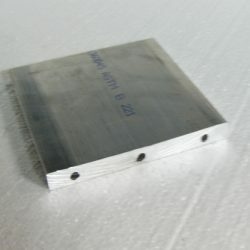 Available in 5, 6, 7 and 8 foot magnet widths. Available with optional Quick Clean Off Sleeve. 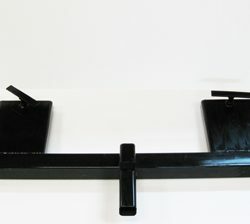 Comes standard with down straps to secure the sweeper to the forklift. Comes standard with stands allowing the unit to sit upright when not in use even with Debris Digging Rake in the down position.